Voice Over (Magnus Berglund, MOT): Vienna, January 2007. An agitated group of men meet at an office in the center of the city. Among them is Wolfgang Riedl, Patria's Austrian agent. The guests from Slovenia are nervous: where's the money Patria promised? Have they been swindled? The men are under pressure, and the agent feels like he is caught between the devil and the deep sea. VO: In February 2007 money is transferred (from Finland) to an account held by Rield Handelsgesellschaft m.b.H. Riedl then forwards 2,8 million euros to businessman Walter Wolf. He, in turn, tries to transfer the money to accounts in Liechtenstein, the Far East and Australia. He draws 300 000 euro in cash. The bank stops him and makes a report to the Austrian money laundering unit, which informs Finland and Slovenia. Drago Kos: "What makes them strange is the fact that, they are so open, so plain about the content. Clearly - - papers to this deal. So it should be very hard to find an excuse for the persons mentioned there for where they transferred the money, because it is said there, openly to everybody." 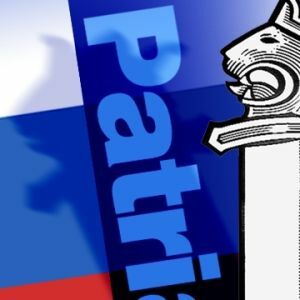 VO: The money is connected to Patria's deals with Slovenia. What you have learned so far is just a small fraction of what you are going to witness today. VO: The armoured personnel carrier Patria AMV is a product developed in cooperation between the Finnish military and the Patria corporation. In 2004 the Finnish army bought 62 AMV's for a price of two million euro a piece. The last deliveries of this deal take place this year. 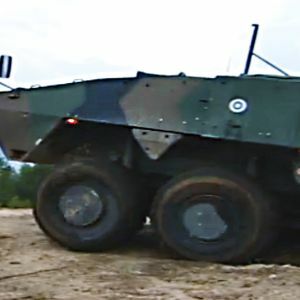 Ari Laaksonen: "The AMV is basically part of a development project, an evolutionary version of the familiar Pasi vehicle. It is particularly suitable for transport of army and marine fighter units, with exceptionally strong armour plating and good maneuvrability to take the troops to the combat area. And of course, it has a weapons system necessary to support the troops' engagement (with the enemy)." VO: When Patria manages to sell these vehicles abroad, it is always good news to the Finnish defence forces. So far, the army has received five million euros in royalties. The AMV is Patria's most important export product. Competition for the big deals around the world is fierce. Heikki Hulkkonen: "Almost in every public tender we've taken part in, we have bid against products of General Dynamics from the USA. They have two subsidiaries, one in Switzerland and one in Austria, and it is the products of either one of these that we are practically always competing against." VO: Patria's future is (to a large extent) dependent on the AMV's success around the world. Patria has won a deal in Poland, lost in Portugal and Belgium. It has won in South Africa and the Emirates. Lost in the Czech republic, won in Slovenia and Croatia. Early last year, rumours circulated about alleged bribes connected to the deal in Poland. At that time, I interviewed Patria's AMV boss (Mr. Heikki Hulkkonen). Heikki Hulkkonen: "We've won some and lost some, so one can say that it is always a difficult race, where there are no small prices for runners-up. We're talking about big money, and the stakes are high." VO: Hulkkonen was arrested this spring (2008), on May 13th. The Finnish central criminal police conducted a search in his apartment and at Patria's offices. Hulkkonen was released after three days. On Sunday, July 6th Hulkkonen was arrested again. He is still (as of September 1st) being held at the police prison in Vantaa, suspected of serious bribery. VO: The Slovenian defence ministry sealed the deal with Patria in December 2006. It was this decade's biggest military procurement in Slovenia. - - MOT has now acquired information about the sums paid in connection with the deal. The sources are from inside Patria and material we have gathered abroad. Original documents are not shown, in order to protect sources. VO: 7,5% of the total sum is channelled into bribes: 21 million. VO: At the beginning of the programme I told about a meeting in Vienna last year. The Slovenian artist Jure Cekuta was one of the men present at that meeting. He is a celebrity in Slovenia, he mingles with the high society and gives the impression that, all the important people in the country are his friends. And he was one of the men waiting for the payments from Patria. MOT: "I have seen documents, which show that money has gone through Riedl Handelsgesellschaft in Wien, to you. One percent of the Patria deal, why is that?" Cekuta: "Well, this is not exactly. So I know Mr. Riedl for long time ago, and I was seeing him, but we never had such a connection that it would come from Patria something." MOT: "But how do you explain it, I've seen documents which show that that money has been transferred through him to you?" Cekuta: "Except for the paintings and art business, was not, I don't know maybe who used my name, as I told you that I could help maybe, or that somebody said I know Cekuta and we can go there and he will show the world or something, I don't know. Could be." VO: Patria's internal documents reveal Cekuta's role. Money is being transferred to Riedl. He forwards some of the money to Jure Cekuta, whose task is to distribute the money to officials at the Slovenian ministry of defence. MOT: "Have you received any money from Riedl?" Cekuta: "No I haven't. No." MOT: "I don't understand – I don't get it. What's the explanation, why is your name on the list?" Cekuta: "Well I heard this first time, I don't know why. I told you maybe because I am open guy, I'm an artist and everybody is around me. I don't know, maybe someone wanted I would make some connection or something." VO: On this list from Patria we see the name of another man who took part in the meeting at Riedl's office, Walter Wolf. He paid out the largest sums. The contacts were clearly defined: Riedl deals with Patria, Wolf takes care of the Slovenian politicians and Cekuta handles the civil servants at the ministry of defence. VO: The Slovenians were surprised to hear the news of Patria and its' local representative winning the arms deal of the century. Drago Kos is chairman of the Council of Europe's anti-corruption organization GRECO. He also chairs an anti-corruption committee in his home country Slovenia. Drago Kos: "Our main finding was that two bidders who were running for this job, there was not equal treatment among them. We found out that Finnish Patria company were prioritized and that Slovenian company was not prioritized, was not treated equally. We're not saying that armoured vehicle production in Slovenia is better than in Finland, but we're saying that the procedure that was used was unfair and against he basic rules of public procurement here in Slovenia…"
VO: Gorenje is a Slovenian maker of home appliances. When the Slovenian ministry of defense decided to buy the Finnish AMV's, Patria was in a hurry to find somebody for the local production of the vehicles – a standard practice in deals like this: 122 vehicles will be made in Slovenia, only 13 in Finland. Two assembly halls were constructed at the refrigerator company's premises. The first AMV's are supposed to roll off the assembly line in September. VO: Before going to Slovenia, we visited the Patria factory in Hämeenlinna (town in southern Finland), in order to be able to compare the two operations, in Slovenia and Finland. MOT: "What kind of a challenge was it, to teach the refrigerator makers this?" Ari Talvenheimo, director, new products, Patria: "Well, it is not that difficult, if you have been in industrial production before. Assembly of this vehicle, with good instructions, and our ten year experience, there's no big risk involved. Anybody learns it, it is just assembly work." Ari Talvenheimo, director, new products, Patria: "I would think so." VO: Suspicions have been voiced in Slovenia that, the local production is just a front, and that the real work is being done in Finland. But everything here looks identical to the Hämeenlinna factory. Timo Louhe, factory manager, Patria, Slovenia: "This has proceeded quite successfully, even better than we expected. Many things have fallen into place faster than we expected, so that, we have a very positive feeling and assessment of this activity here." VO: It is now two years since Patria won the tender in Slovenia. The deal was signed six months later. Generally, if bribes are used, you have to sell the product with a premium price in order to get back the millions spent on bribes. – After the signatures were on paper, it looked as if Slovenia had bought fewer vehicles than originally intended, but for the original price. Also, the arms equipment on the vehicles was lighter than in Patria's bid. A committee of the Slovenian parliament began to investigate. Milan Cvikl: "We have estimated that if there was basically an offer which was for 150 vehicles fully equipped and when you transfer this into a contract and you of course calculate properly the unit prices, then at least 50 million euros, the contract was better, for of course Patria, for intermediary than what was initially offered and that's why we are saying this is unacceptable, the Slovene tax payers will be paying that, and that's why we are saying okay why that have happened." VO: The government and the opposition have fought over this report for a year. The final report was supposed to have come out this July. 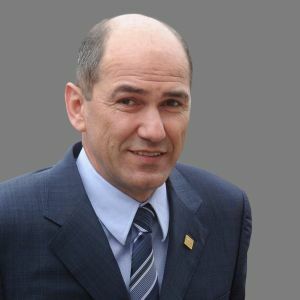 The ruling parties, however, managed to oust Cvlik from his chair. There will be no final report. VO: The prime minister's party stopped the parliamentary committee from finishing its' report. But Drago Kos' independent committee did publish its report. He was accused of being an enemy of the state, because his report showed that, Patria had been favoured in a strange way. Drago Kos: "Whom do they want to protect? I got some threats afterwards. These were not serious, because I'm used to them and I know the people who produce them, but still it was enough for me to realize that all of my fears, when I was putting the question, whom do they want to defend, whom do they want to hide, was…"
Kos: "Huh, what? Surely you don't expect me to give you the names, but those are the guys who are very close to the top - - This is basically the essence of the problem…"
VO: A person with the code name "J" is mentioned in Patria's internal documents. He is one of those who had to be paid – if you wanted to sell the AMV's to Slovenia. It is said that, "J" needs pension money. VO: Karl Erjavec, the Slovenian defense minister, is not "J", although he made the formal decision about the Patria deal. We are not aware of any bribes having been paid to the minister of defense. – While interviewing the minister, it becomes clear that, it is his assistant, colonel Dragan Bavcar who makes the decisions here. I wanted to know how many officials were involved in the preparation of the Patria-deal. Dragan Bavcar: "Formally eleven. It was not one body, there were two bodies. There was a project council, who was in top of the negotiation team. Negotiation team presented the result to the project council. The project council confirmed or refused the solution, and then suggested to the minister to do it or not to do it. And everything was done by consensus." MOT: "Could I get the names?" Erjavec: "It's the best names of the ministry of defense and the Slovene army." MOT: "May I get the names?" Bavcar: "I don’t think so – It's his decision, but we didn't publish it publicly…"
VO: During the interview I remember that, colonel Bavcar is one of them. One of the persons whom the painter Cekuta was supposed to deliver money. When I ask about bribery, the colonel lets the minister and interpreter talk freely. Karl Erjavec (in Slovenian): "I, as a minister of defense can sleep peacefully, because I know this business was done in accordance with the law and in a transparent way. I am interested in what the findings of the Finnish investigation will be, but I am convinced that it will in no way be connected with this deal or the supply of AMV:s to Slovenia." VO: The minister's statement is baffling. It is certainly possible that, he does not understand that the Finnish police is conducting a major investigation of the deal he made. He may well believe Patria's CEO Jorma Wiitakorpi, who visited Slovenia the day after our interview. Jorma Wiitakorpi, CEO (18.8.2008), Patria, press conference at the Slovenian Ministry of Defence13.8.2008: "I would like to say Patria's internal investigation has shown very clearly that in Patria Vehicles, no person did not pay anything to any Slovenian officials in relation to Slovenian project." VO: Near Gorenje and the Patria production plant, we meet Mr. Milan Svajger, CEO of the company that lost to Patria in the competition for the deal. He has a long career in defense materials business. MOT: "What’s' your impression, who is the one who has really made the decision, was it the minister or…?" Milan Svajger, Sistemska Tehnika: "Decision was not made by minister of defense. Minister of defense is just a marionette. Decisions are made behind, very close to the prime minister." MOT: "Why do you think so?" Svajger: "Because I know! Because our prime minister was 1991 minister of defense, his profession is defense." VO: I request an interview with the prime minister. We are turned down: The investigation is still going on. No comments. But now I know that, the Slovenian police are doing next to nothing. Drago Kos: "We are facing a situation which seems ridiculous. We have obviously bribe givers, which are investigated by the police forces in Europe. It looks efficiently because they are the … and … bribe givers had to give bribes to somebody, the bribe takers. The bribe takers, it seems they are living in our country, where nothing is happening. So we will face the situation, where we will have.. on one side, we have nothing on the second part. And some of the people involved in the case are already known. Still nothing is happening." VO: In Finland, the Patria leadership has had a nightmarish summer, which culminated in the decision to fire CEO Wiitakorpi two weeks ago. VO: Patria's public relations tactic was to repeat that, Wiitakorpi was not being investigated for any criminal activity. In reality, the company's chairman of the board Risto Virrankoski had lost confidence in his CEO already earlier in the summer. 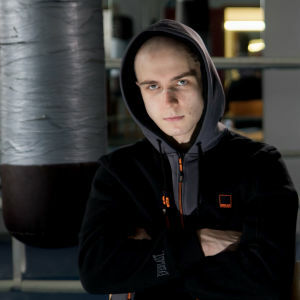 After the first weekend of July, Wiitakorpi called Virrankoski to tell that the police had detained him for questioning for the whole weekend. He had been interrogated from Friday to Sunday, suspected of complicity in a crime. VO: The police had struck Patria on the 13th of May. 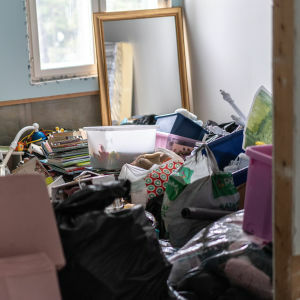 They made a major search in the company's premises and confiscated a lot of material. During the summer, about a dozen officials from Patria were taken in for questioning like Wiitakorpi, and two were imprisoned for longer periods. Major crackdowns were made. Wiitakorpi defended himself by asserting that Patria has obeyed the laws in both Finland and Slovenia. We interviewed him in June. MOT: "Have bribes been paid?" Jorma Wiitakorpi: "According to the information I have, our organization has followed conventional trade practices of the country." 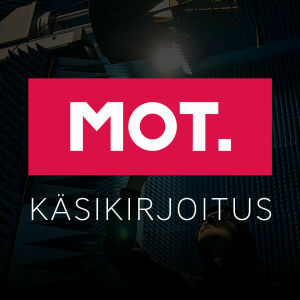 MOT: "Should the CEO know if bribes have been paid?" Wiitakorpi: "As I said, according to the information at my disposal, our people have acted upon the directives in place by Patria and the country in question." VO: So, now it is not about the law anymore, but practices and directives commonly followed in the country. VO: Patria might never have been caught, if the central criminal police had not put its’ weight into this investigation. We have a meeting with Bojan Potocnik, who was director of the Slovenian police forces until 2005. Bojan Potocnik: "I'm afraid that too many important people are connected to this example and for sure before election, this is for sure political decisions of somebody, to make quiet police." MOT: "So, it is reasonable to really think that the minister of interior has stopped the investigation around Patria and he has been taking orders from the prime minister?" Potocnik: "I'm serious. I have no evidence to say this, but I'm almost convinced, that is. Because based on daily life, was he minister of interior for any kind of decision he asked prime minister." VO: Over eight million euros were to be paid through Walter Wolf. Just like Cekuta, Wolf is a Slovenian celebrity. The Walter Wolf –shop is located on Wolf Street. Salesperson in the shop: "Mister Walter Wolf, I think is in Canada, I have no telephone number, no address, sorry." VO: The Finnish police issued a warrant for Wolf’s arrest. Wolf’s role in the deal has been pivotal. Unable to contact him, I must look for another agent. VO: A new entry on the list of agents: Patria has two contracts with Rudolf Leban. They are worth five million euros. What is he being paid for? Rudolf Leban, CEO, Leban&Leban: "My connection for Patria is to work for them. They give me a certain task to do, we start several years ago and we are still working." VO: Leban tells us his job is to arrange compensation deals connected with the AMV deal. The strange thing is that, his company has received millions, without accomplishing anything remarkable. Rudolf Leban: "Hopefully I'm doing... people from Patria are satisfied with my work." MOT: "You think you're worth the money?" Leban: "Yes, I think so." MOT: "What's your connection to the prime minister?" Leban: "Well at this moment, no connection. Simply like when he was in opposition, we were playing golf together and this is the whole story which has been created. Of course he was in opposition, we were playing golf and that's all. When he become a prime minister, he doesn't have time to play." MOT: "You were playing golf only with those in opposition." Leban: "Yes, I like to play golf." MOT: "Are you worried about the outcome of the Finnish investigation?" Leban: "No, no, no I am not. Sure not. Because I have not done anything wrong and I doubt Reijo has done anything wrong. He maybe made some mistake, but he's not a person to do something wrong." VO: Patria’s country representative for Slovenia was in police custody through the whole summer in Finland. The company’s now ex-chief of AMV operations was held for two months. At least these two men have been aware of the final destination of the about 20 million that were paid through Leban and Riedl. In addition to this, Riedl has bought a competing bid, a copy of which was found among Hulkkonen’s documents. That makes him a suspect in an industrial espionage case as well. Riedl’s main task in all this has been to transfer the money. VO: Wolf and Cekuta are not formally in contract with Patria. They act as couriers, delivering the money to decision makers in Slovenia. 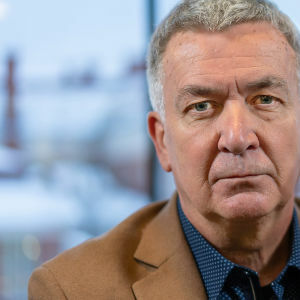 Milan Svajger (Sistemska Tehnika): "I know that Patria don't took crazy people. I know that Patria don't like to pay some commission to some.. who don't have any influence in the business and if Patria pays some money, indirectly by Riedl or Mr. Wolf. They paid to the right person, who have some… and Mr. Cekuta has lots of friends in the police, in the government, in the minister, but I don't know exactly, but I know Mr Cekuta is a very known guy in Slovenia, he has a lot of friends, and he has also some influence." VO: Is it conceivable that, the illegal part of the Slovenian operation was known about by only two men at Patria? Normally, corporate control routines would prevent all payments for dubious dealings. VO: Wiitakorpi insists that, he is not officially under suspicion of criminal activity. The central criminal police has announced publicly that the opposite is the case: he is under suspicion. VO: Why was this organization created? Who had to be paid? – In the defense ministry, one of the many recipients was Dragan Bavcar. There are dozens of names on the list, and the Slovenian prime minister is mentioned several times. VO: One person appears in the Patria papers as “J”. It was Walter Wolf’s job to deliver money to “J”. 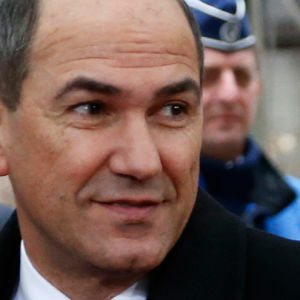 VO: J is Janez Jansa, prime minister of Slovenia. He was the chairman of the council of ministers of the European Union for the first half of 2008. Also the prime minister’s party was a beneficiary in the Patria deal. In other words: The Finnish state-owned Patria bribed the prime minister of Slovenia. Office of the Prime Minister can not comment on the documents we have not yet been able to see. The accusations stated in your e-mail are completely untrue and absurd. Prime Minister Janez Jansa has never met with anyone from the mentioned company. The Government of the Republic of Slovenia has neither directly nor indirectly participated in the selection process after the publication of the international tender. The Office of the Prime Minister attributes the mentioned accusations to the pre-election period in Slovenia, where parliamentary elections will be held on 21 September. Slovenian korkeampi oikeus on vahvistanut Slovenian entisen pääministerin Janez Jansan vankilatuomion. Alioikeus tuomitsi viime kesänä Jansan kahdeksi vuodeksi vankilaan lahjusten vastaanottamisesta Patrian panssariajoneuvokaupoissa. Slovenian entinen pääministeri Janez Jansa on tuomittu kahdeksi vuodeksi vankilaan vaikutusvallan väärinkäytöstä. Tuomio on ehdoton. Suomen ja Slovenian viranomaiset ovat keväästä asti tutkineet Patrian panssariajoneuvojen kauppaan liittyneitä lahjusepäilyjä. MOT penkoi lähteitä molemmissa maissa ja sai tietoa siitä, mitä maksettiin, miksi maksettiin, kuka maksoi ja kenelle. Totuus Patriasta. Valtionyhtiön miljoonalahjukset Sloveniassa paljastuvat.